Cloud Computing: Fluff or Lightening? How do you support business objectives & how can the cloud help you leverage this capability in a cost-and-demand-driven make or buy logic? We will demonstrate how to draw the fluff out of the cloud to generate lightening and cloud(out)source effectively! 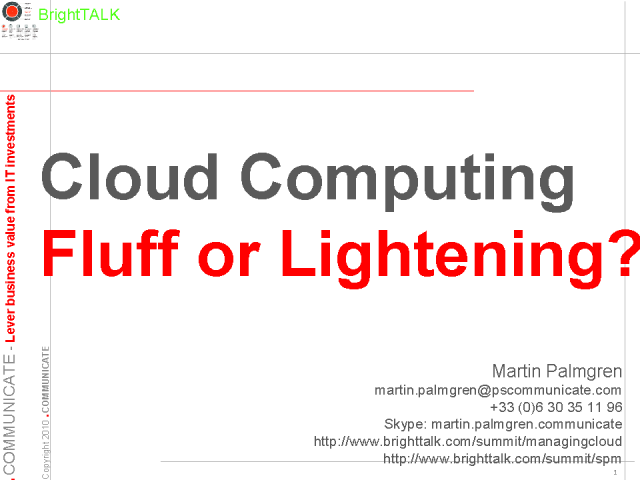 Title: Cloud Computing: Fluff or Lightening?